Phototheca deals with the problems we all have experienced with a large number of pictures waiting to be organized. In a simple and elegant interface, the program brings together the tools you need to view, sort and tag photos. 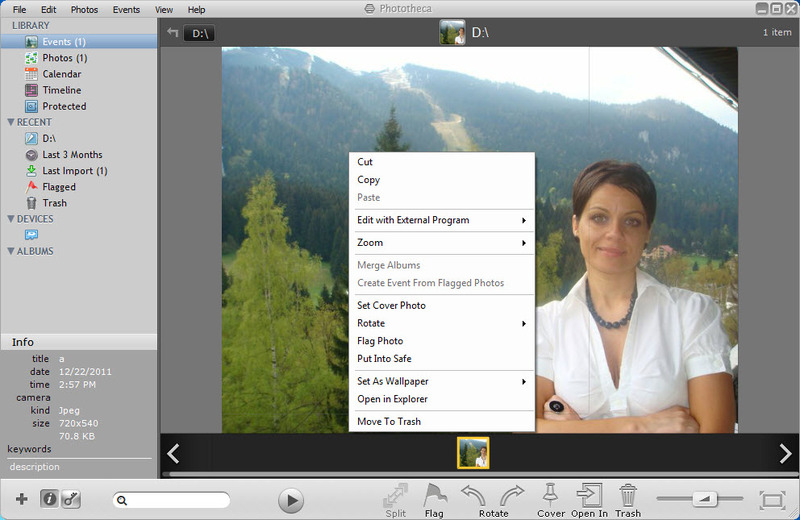 By tagging, we mean that this app gives users the possibility to add keywords to the images and organize them in albums. 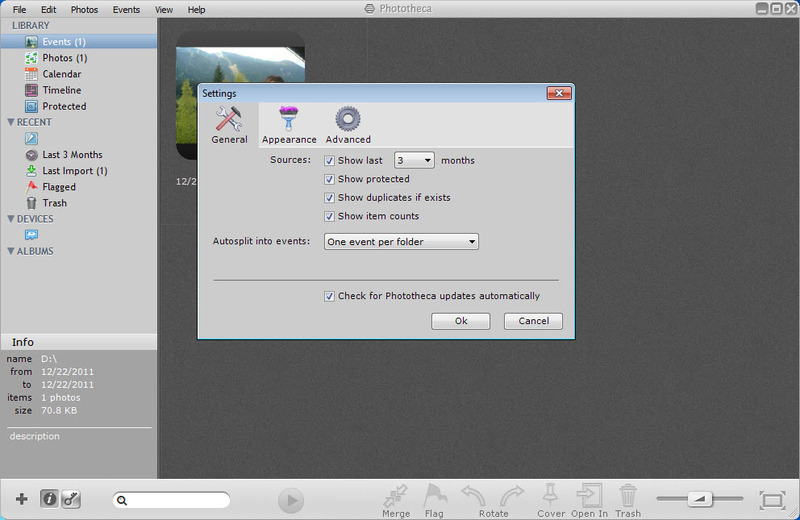 Removing duplicates and finding a photo by the date it was taken becomes easy as never before. 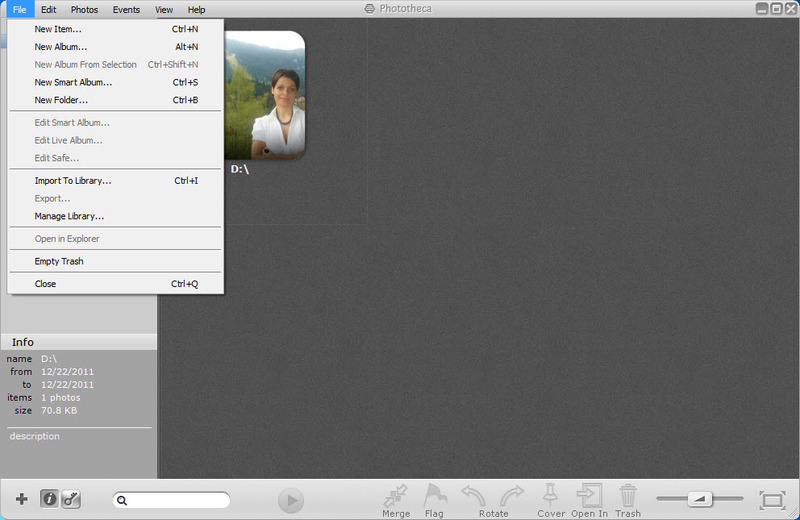 You can also tag friends and places, assign a camera to the picture, resize and move them from one album to another. 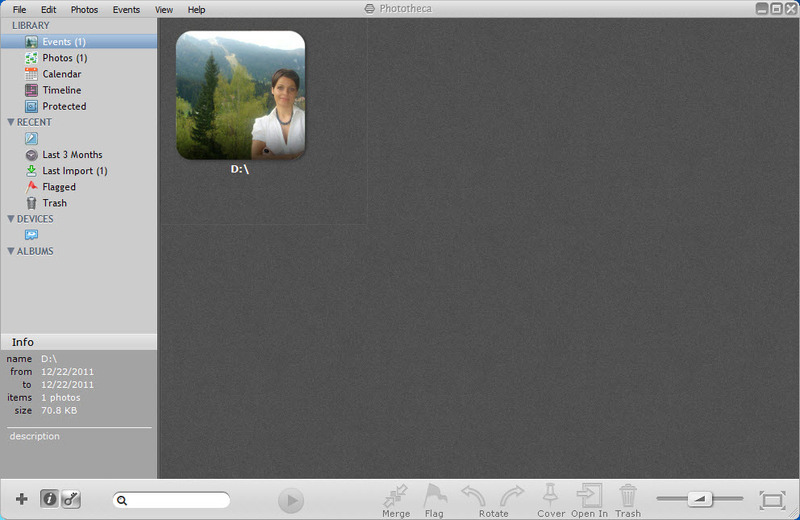 Another useful feature is the safe, a password protected album where you can keep your private photos.